The risk management process can be broken down into several key parts: determining what you are looking to achieve, identifying and assessing risks, planning and implementing responses, and communicating, reviewing and learning from the risks. 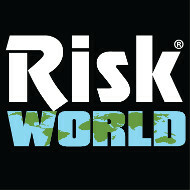 The Risk Doctor, David Hillson, an international risk management consultant who leads The Risk Doctor Partnership (www.risk-doctor.com), is recognized globally as a leading thinker and expert practitioner in risk management and has made several innovative contributions to the field. He outlines what risk is and why it matters and brings together the thoughts and opinions of experts in risk to demonstrate how to effectively handle multi-dimensional risk and the emerging trends within the field. Drawing on cutting-edge thinking, The Risk Management Handbook covers all the main areas of risk management in business, including cyber risk and political risk. Covering recent powerful advances in the theory, methods, and applications of decision and risk analysis, this book focuses on recent advances and innovations in the field of decision analysis. Theories and methods for making, improving, and learning from significant practical decisions are covered in an accessible style for readers from multiple backgrounds, including psychology, economics, statistics, engineering, risk analysis, operations research, and management science. The authors present a thorough investigation into environmental regulation, its economic and financial effects and the associated costs and benefits. A variety of issues, pertaining to regulation in general and environmental regulation in particular, are examined. These issues include the theories of regulation and how it is viewed in terms of the free market doctrine, forms of regulation, command-and-control regulation as opposed to market-based regulation and the cost-benefit analysis of environmental regulation. Along with increased complexities in work and life in general in the twenty-first century come new and dangerous risks to workers, customers, and the general public. Drawing on decades of experience as a researcher and consultant for a range of organizations and individuals in high-risk domains, the author of this book presents a powerful theory of open communication and teamwork. This unites a range of communication practices and principles that have proven to combat risk and complexity in organizations. The book initially focuses on NASA, an organization that experiences and engages with high complexity and risk daily. A fully updated and expanded edition of the bestselling guide on toxicology and its practical application. It covers the diverse chemical hazards encountered in the modern work and natural environment, and provides a practical understanding of these hazards. New chapters cover the emerging areas of toxicology such as omics, computational toxicology, and nanotoxicology, and provides clear explanations and practical understanding of the fundamentals necessary for an understanding of the effects of chemical hazards on human health and ecosystems. It also includes case histories and examples from industry, demonstrating the application of toxicological principles. The book contains numerous illustrations to clarify and summarize key points, annotated bibliographies, and a comprehensive glossary of toxicological terms. Risk and Crisis Management in the Public Sector Second Edition is a guide for public managers and public management students that combines lessons about risk and crisis management together in a single, accessible text. This new edition includes contemporary cases and a greater focus on the international, trans-boundary and multi-agency dimensions of risk and crisis management. This edition enables readers to understand key issues and debates, as well as the capacity to treat risks and better prepare for, respond to and recover from crisis episodes. Today’s crises, which can escalate rapidly through the interdependencies of modern society have included the global financial crisis, the European volcanic ash cloud, the Japanese tsunami and subsequent Fukushima nuclear plant meltdown, the Christchurch earthquake and the Queensland floods. All highlight the extreme challenges that public sector organizations across the world have had to face in recent years. Risk Management and Financial Institutions explains all aspects of financial risk and financial institution regulation, helping readers better understand the financial markets and potential dangers. This new fourth edition has been updated to reflect the major developments in the industry, including the finalization of Basel III, the fundamental review of the trading book, SEFs, CCPs, and the new rules affecting derivatives markets. There are new chapters on enterprise risk management and scenario analysis. Readers learn the different types of risk, how and where they appear in different types of institutions, and how the regulatory structure of each institution affects risk management practices. Comprehensive ancillary materials include software, practice questions, and teaching supplements. Financial professionals will gain a better understanding of the market and how to defend against systemic dangers and better perform their jobs. This book provides a complete picture of the risk management industry and practice, with up to date information. Climate change poses a risk to business operations and to markets, and a poor business response to this risk can to lead to reputational damage, or worse. At the same time, climate change can bring opportunities for some businesses. In this addition to Gower’s series of Short Guides to Business Risk, Professor Arnell, one of the World’s leading experts in the field reviews this critical area of risk posed to businesses and other organizations by climate change and considers how they can respond to this threat. A Short Guide to Climate Change Risk focuses on the impacts and consequences of climate change rather than on business use of energy or business and ‘sustainability’ issues. The author examines the advantages and disadvantages of different approaches to addressing these risks, with international case study examples. With chapters on the nature, science and politics of climate change risk, as well as how to assess, then how to cope with it, and recommendations for incorporating climate change risks into a Company Climate Risk System, this concise guide serves the needs of business students and practitioners across a wide range of sectors, public and private. This book reviews small modular reactor (SMR) features, promises, and problems, also discussing what lies ahead for reactors of this type. There is currently significant interest in the development of SMRs for the generation of both electricity and process heat. SMRs offer potential benefits in terms of better affordability and enhanced safety and can also be sited more flexibly than traditional nuclear plants. This book provides decision-makers in governments, business, and research with the needed background on small nuclear power and an overview of the current situation to create a balanced discussion of the many advantages of SMRs and the challenges and criticisms they face. Read table of contents. The author, Daniel T. Ingersoll of NuScale Power, USA, is a highly respected expert in the nuclear industry. In a recent survey, 71 percent of executives polled said their company was concerned about the possible risks posed by social media, but 59 percent do not perform a social media risk assessment. This book is a comprehensive, practical guide to the components and considerations that make up a social media governance strategy, spanning both external communications channels such as Facebook, Twitter and LinkedIn, as well as enterprise social networks within an organization. Phil Mennie, PwC’s Global Social Media Risk and Governance leader, addresses key issues such as policy evaluation and planning, information security and fraud risks, how to respond to a crisis and how to archive data. The book empowers professional users of social networks to collaborate with their compliance and risk management counterparts, and to harness the power of social media safely and successfully for their organization. This book serves as a comprehensive introductory guide to the practical aspects of risk assessment. Chapters include clearly defined objectives and summaries. The book includes: hazard identification, dose-response, exposure assessment, risk characterization, chemical mixtures, epidemiology, emerging issues and global perspectives with accessible language. The book concludes with a set of hypothetical case studies. Toxicological Risk Assessment for Beginners aims not to create an expert, but rather to provide readers with their first understanding of the risk assessment topic. This book was designed with the student in mind. We simplify a complex process for beginners and balance theory with practical aspects, but remain fluid enough to increase difficulty with case studies. By incorporating an action based, step by step approach to learning the risk assessment process, this book provides its readers with an elementary understanding of how the risk assessment process is initiated, developed and finished, making it a valuable guide for graduate students, post-doctoral fellows and early career scientists in industry. flyer for additional information on the handbook and how to order it. Considered by the publishers to be the first casebook on the law of governance, risk management, and compliance, this book addresses issues of fundamental importance for any regulated organization. Real-world examples include the $13 billion settlement between JPMorgan Chase and its regulators. Author Geoffrey P. Miller, a professor of corporate and financial law, brings experience to the book as a member of the board of directors and audit and risk committees of a significant banking institution. This book can be a cornerstone for courses on compliance, corporate governance, or on the role of attorneys in managing risk in organizational clients. This guide to quantifying risk vs. return is fully updated, covering the most effective innovations in financial risk management since the 2008 financial crisis. Written for risk professionals and non-risk professionals alike, this easy-to-understand guide helps readers meet the increasingly insistent demand to make sophisticated assessments of companies’ risk exposure. It provides the latest methods for: measuring and transferring credit risk, increasing risk-management transparency, implementing an organization-wide enterprise risk management approach. The purpose of risk assessment is to support science-based decisions about how to solve complex societal problems. The problems faced in the twenty-first century have many social, political, and technical complexities. Environmental risk assessment in particular is of increasing importance as a means of seeking to address the potential effects of chemicals in the environment in both the developed and developing world. This book examines various aspects of problem formulation, exposure, toxicity, and risk characterization that apply to both human health and ecological risk assessment. Aimed at the next generation of risk assessors and students, it explains how to develop, conduct, and interpret risk assessments. The book delivers a comprehensive view of the field, complete with sufficient background to enable readers to probe for themselves the science underlying the key issues in environmental risk. Examines timely multidisciplinary applications, problems, and case histories in risk modeling, assessment, and management Risk Modeling, Assessment, and Management , Third Edition describes the state of the art of risk analysis, a rapidly growing field with important applications in engineering, science, manufacturing, business, homeland security, management, and public policy. Unlike any other text on the subject, this definitive work applies the art and science of risk analysis to current and emergent engineering and socioeconomic problems. It clearly demonstrates how to quantify risk and construct probabilities for real-world decision-making problems, including a host of institutional, organizational, and political issues. This book provides the latest quantitative microbial risk assessment methodologies to determine infection risk cause by either accidental microbial infections or deliberate infections caused by terrorism. It also reviews the latest methodologies to quantify at every step of the microbial exposure pathways, from the first release of a pathogen to the actual human infection; provides techniques on how to gather information, on how each microorganism moves through the environment, how to determine their survival rates on various media, and how people are exposed to the microorganism; and explains how QMRA can be used as a tool to measure the impact of interventions and identify the best policies and practices to protect public health and safety. The book also includes new information on genetic methods and techniques used to develop risk models for drinking water, groundwater, recreational water, food and pathogens in the indoor environment. Scientists and politicians are increasingly using the language of risk to describe the climate change challenge. Some researchers have argued that stressing the ‘risks’ posed by climate change rather than the ‘uncertainties’ can create a more helpful context for policy makers and a stronger response from the public. However, understanding the concepts of risk and uncertainty – and how to communicate them – is a hotly debated issue. In this book, the author analyzes how the international media present these and other narratives surrounding climate change. He focuses on the coverage of reports by the Intergovernmental Panel on Climate Change (IPCC) and of the melting ice of the Arctic Sea, and includes six countries: Australia, France, India, Norway, the UK and the USA. This book describes a real world approach for business owners, executives and Boards to use in determining how business risk can affect top priority business strategies and how to develop action plans for addressing those risks through Enterprise Risk Management (ERM). It clearly explains the steps necessary to achieve an effective ERM process through a unique methodology for identifying and prioritizing risks across business functions. It provides an initial set of specific risks many functions may currently face. It also includes tools, sample reports and a case study that ties everything together providing the reader with a practical guide for implementing ERM. It is a concise tool for chief risk officers (CROs), functional executives, business owners or anyone in a leadership position who plays a role in managing risk. The emphasis is on linking ERM to the corporate strategy which is well illustrated in the case study. In addition, there is a detailed discussion of the value of ERM to the enterprise and its various stakeholders. This book provides an innovative approach that focuses on managing return and risk in modern financial institutions. The central theme is that the risks faced by financial institutions managers and the methods and markets through which these risks are managed are becoming increasingly similar whether an institution is chartered as a commercial bank, a savings bank, an investment bank, or an insurance company. Although the traditional nature of each sector’s product activity is analysed, a greater emphasis is placed on new areas of activities such as asset securitisation, off-balance-sheet banking, and international banking. Now in its second edition, Health Communication: From Theory to Practice provides a comprehensive introduction to theory, intervention design, current issues, and special topics in health communication. The book also represents a hands-on guide to program development, implementation, and evaluation. This second edition further emphasizes the importance of a people-centered and participatory approach to health communication interventions, which takes into account key social determinants of health as well as the interconnection of various health and social fields. While maintaining a strong focus on the importance of behavioral, social, and organizational results as key outcomes of health communication interventions, this second edition also includes new or updated information, theoretical models, resources, and case studies on health equity, urban health, emergency and risk communication. Climate change is the single largest threat to the attainment of the Millennium Development Goals (MDGs) and sustainable development. Addressing climate risk is a challenge for all. This book calls for greater collaboration between climate communities and disaster development communities. In discussing this, the book will evaluate the approaches used by each community to reduce the adverse effects of climate change. One area that offers some promise for bringing together these communities is through the concept of resilience. This term is increasingly used in each community to describe a process that embeds capacity to respond to and cope with disruptive events. This emphasizes an approach that is more focused on pre-event planning and using strategies to build resilience to hazards in an adaptation framework. The book will conclude by evaluating the scope for a holistic approach where these communities can effectively contribute to building communities that are resilient to climate driven risks. This book offers an easy to implement, practical, and proven risk management methodology for project managers and decision makers. Drawing from the author’s work with several major and mega capital projects for Royal Dutch Shell, TransCanada Pipelines, TransAlta, Access Pipeline, MEG Energy, and SNC-Lavalin, Project Risk Management: Essential Methods for Project Teams and Decision Makers reveals how to implement a consistent application of risk methods, including probabilistic methods. It is based on proven training materials, models, and tools developed by the author to make risk management plans accessible and easily implemented. It is written by an experienced risk management professional. It reveals essential risk management methods for project teams and decision makers. It is packed with training materials, models, and tools for project management professionals. Product recalls and safety alerts are an unfortunate reality for all manufacturers, distributors and retailers. While many can’t be helped, companies haemorrhage millions of pounds and dollars each year by failing to implement systems and processes that increase their products’ safety reliability, often ending up with a recall. Organisations and companies should consider whether they have ensured everything possible has been completed to make their products, processes and procedures safe, and they have concise documentation to prove the actions that have been taken. The purpose of this book is to provide a step by step guide in achieving safety by Hazard Analysis and Risk Assessment that culminates in a safety culture and a duty of care. The author spent his entire career steering companies away from the dreaded recall and, in his game-changing new book, provides a proven blueprint for producing products that are as safe as they can possibly be. This book should be on the shelf of every office dealing with the manufacturing and testing process. This fully-updated fifth edition includes real-life examples of current events such as the Japanese tsunami, the Gulf oil disaster, and Hurricane Irene, along with lessons learned from these events. The coverage also includes new chapters on public health campaigns, and on the use and effectiveness of social media such as blogging, video, and image sharing for risk communication purposes. Combing sound, scientific research with practical advice in an accessible format, this book is a must-read for practitioners, engineers, scientists, and public health agencies. Assessment of risk and uncertainty is crucial for natural hazard risk management, facilitating risk communication and informing strategies to successfully mitigate our society’s vulnerability to natural disasters. Written by some of the world’s leading experts, this book provides a state-of-the-art overview of risk and uncertainty assessment in natural hazards. It presents the core statistical concepts using clearly defined terminology applicable across all types of natural hazards and addresses the full range of sources of uncertainty, the role of expert judgement and the practice of uncertainty elicitation. The core of the book provides detailed coverage of all the main hazard types and concluding chapters address the wider societal context of risk management. This is an invaluable compendium for academic researchers and professionals working in the fields of natural hazards science, risk assessment and management and environmental science and will be of interest to anyone involved in natural hazards policy. People’s influence on ecosystems can create serious environmental consequences. Structural Human Ecology is a term coined to describe scientific studies and analyses of the stress individuals and communities place on the environment, human well-being, and the tradeoffs between them. As an emerging discipline, it is devoted to understanding the dynamic links between population, environment, social organization, and technology. The community of specialists working in this field offers cutting-edge research in risk analysis that can be used to evaluate environmental policies and thus help citizens and societies worldwide learn how to most effectively mitigate human impacts on the biosphere. The essays in this volume were presented by leading international scholars at a 2011 symposium honoring the late Dr. Eugene Rosa, then Boeing Distinguished Professor of Environmental Sociology at Washington State University.